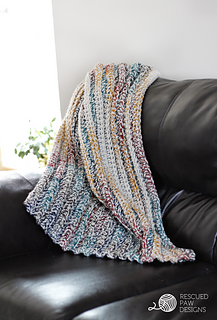 This chunky blanket is a fun beginner friendly crochet pattern. I worked this up in just a few days because of the super bulky yarn, Lion Brand Thick & Quick that I used. This is one of those patterns that once you get the first few rows in you are good to let your mind go and just crochet! I have to admit that I sat in front of the TV with my pajamas, coffee and Netflix for about two evenings while working on this! 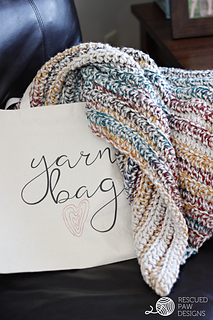 But who doesn’t love to crochet & Netflix binge? Available in 5 sizes, Baby, Twin, Full, Queen & King.